The V14 SP2 Evaluation includes Freemium Cloud support. The V14 SP2 Evaluation is a cut down version of the normal Installation. 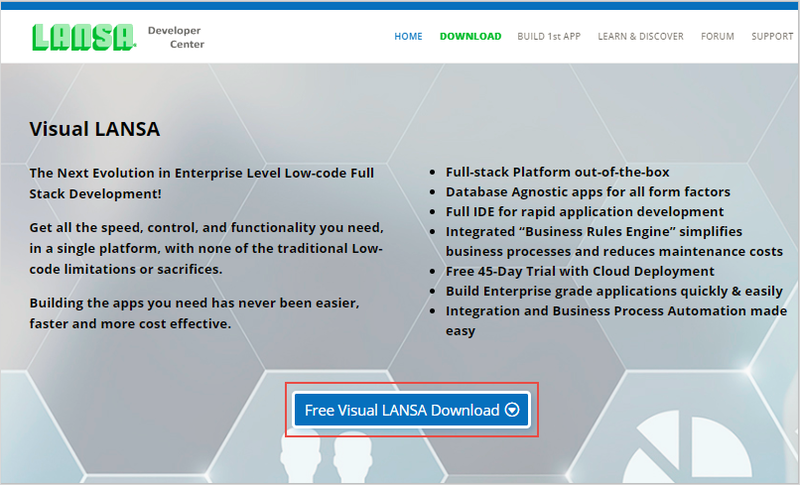 It installs an Independent Visual LANSA system with Version Control and the common default features (Visual LANSA, Web Administration, LANSA Web Server Extension, Web Images, Integrator JSM, Integrator Studio, LANSA Open and LANSA Connect). The User Id for VL Web Configuration option which is identical to the option in the main installation. The first thing the evaluation installation does is request an evaluation license. If it cannot obtain an evaluation license, the installation will not continue.